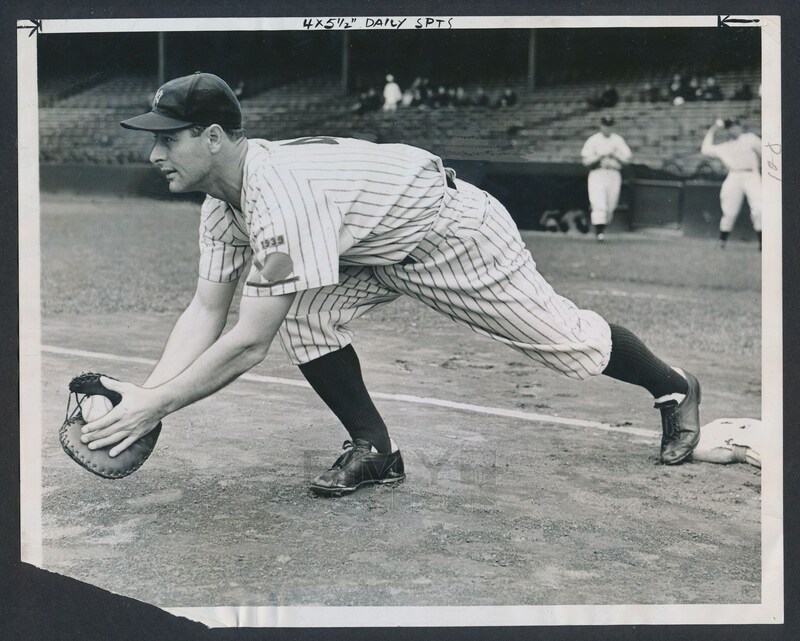 1938 Horizontal fielding pose of Lou Gehrig from the New York Yankees as he stretches to make a play at first base. 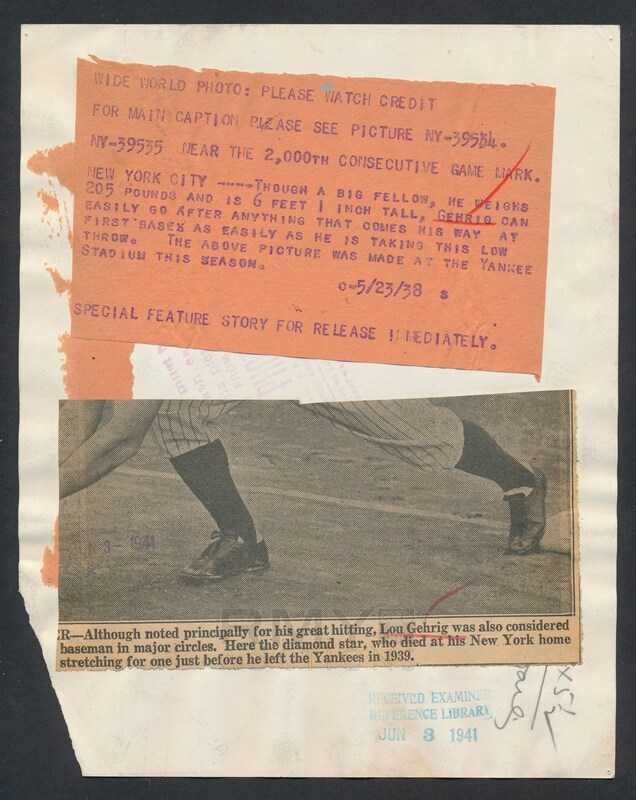 Issued by Wide World Photos and stamped on the back with a paper caption as well, this also has part of the newspaper article this image was used to make attached to the back. Despite a corner chip, this is a presentable image that really captures the stature of Gehrig as he neared his 2000th consecutive game played!